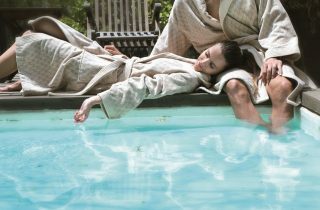 Snuggle up after a long soak or lounge in the utmost style with our selection of luxury dressing gowns & bathrobes. Whether your tastes are simplistic or bold, there is a robe for you and there are also different designs to suit the changing seasons such as fluffy winter robes to delicate kimonos. there also many styles to choose from world renowned designers. you’ll find the perfect bathrobe to suit your needs.